Xiaomi Black Shark – The first gaming phone that everyone wants to purchase! Could this be the gaming phone you have been waiting for? What gaming phone? Precisely! The real gamers would argue that smartphones are not meant for the true gaming experience. But Xiaomi’s new smartphone begs to differ as it aims to capture the popular niche market with its all-new Black Shark smartphone. 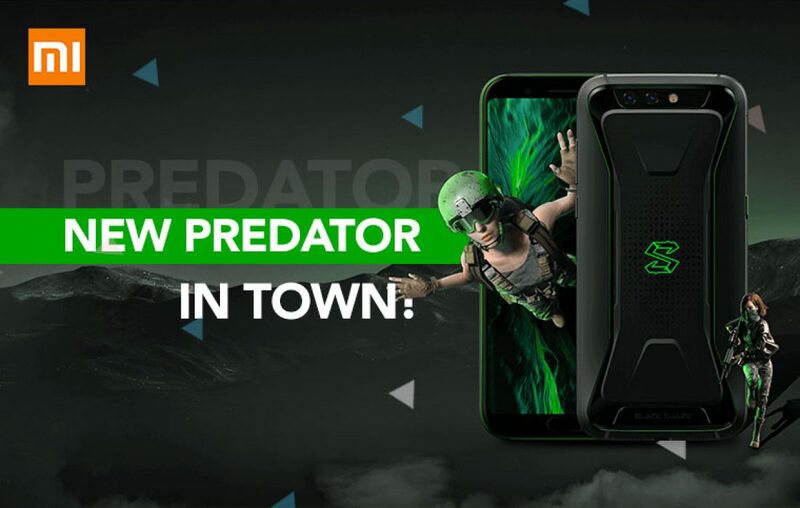 The new Xiaomi Black Shark smartphone comes equipped with a series of features that are claimed to be tailored-made for high quality continuous intense gaming. Let’s talk about Xiaomi Black Shark specifications and price in India. Below you’d learn whether investing around Rs 40K would be a good idea or not. Who is the primary competitor of the new Xiaomi gaming phone? That’s about it…now we will talk about the Black Shark! Xiaomi has always taken a keen interest in creating beautiful and comfortable handsets. 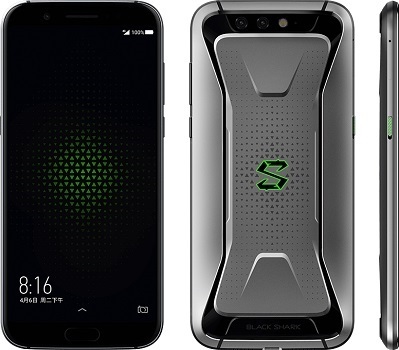 And the new Black Shark is the example of that sheer will to create magnificent smartphones. Dedicated to gaming, the brand claims it offers the highest-level comfort features for a better gaming experience. The back side is lit with an S-shaped LED light, which blinks under various scenarios related gaming and notifications on the phone. Thus, giving a custom gaming touch. There is no doubt that the 18:9 aspect ratio would offer a better gaming experience that a 16:9 aspect ratio display. To offer an immersive gaming, this was a good implementation by Xiaomi. The large 5.99-inches screen comes with a support of DCI-P3 port and colour gamut of up to 97%, which is impressive. This is something that Xiaomi is always proud of; first to introduce new Qualcomm chipset. Technically, Xiaomi is not the first to introduce in the world, but they’re first in China. The new Xiaomi Black Shark is a limited edition handset and it is coming with this year’s flagship chipset, the Snapdragon 845. It is literally the fastest mobile chipset in the world now. Offering a support of 8GB RAM and 128GB internal storage, this smartphone is cut out for high-performance. And the specifications prove it. When you’re creating a phone solely for gaming that’s gonna demand a huge battery juice, you must give a large capacity battery. And that is what Xiaomi has offered; a 4000 mAh capacity battery. With a quick charge 3.0 fast charging support you don’t have to wait for long to get back to gaming. What is a unique feature on Xiaomi Black Shark? It comes with a special liquid cooling system, which ensures that the temperature of the device doesn’t pass a dangerous threshold. Thus ensuring that CPU can run at its maximum frequency without worrying about it getting overheated. That is the unique feature, which sets apart this Xiaomi gaming phone. Should you buy Xiaomi Black Shark when it hits India? Looking at the expected Black Shark price, the specifications and unique features it offers are truly worthy of the investment. If you’re someone who considers yourself as a gaming enthusiast, then, it might be a good upgrade for you. Drop us a line or two to understand whether you’re interested in this smartphone or not. Previous article Moto G6 Plus - Can Motorola keep its reign alive in the sub-15K segment? Next article Xiaomi Redmi S2 - Could this be the new sub-10k gladiator? Vivo Xplay7: Could 10GB RAM would be enough to call a smartphone monster?